Here are some photos from the summer of taking care of bees. They’re taken at the apiary of Bear Creek Honey, not my own apiary at The Beanstalk. First we check the frames of honey to make sure they're ready to be taken away for extraction..
Then we blow the bees off with a reverse-vacuum cleaner thing, creatively called a "bee blower." Blowing bees was mostly my job because there is no heavy lifting. On occassion, I may have fallen asleep while blowing bees. It gets a bit repetitive. 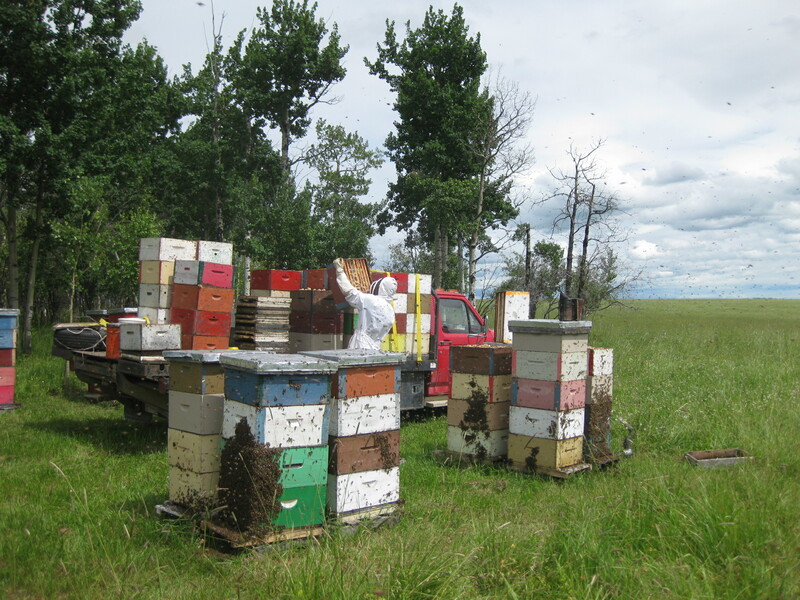 Then we take the bee-less boxes of honey and stack them on the truck, ready to be hauled off to the extracting room. Watch out for crawling bees! 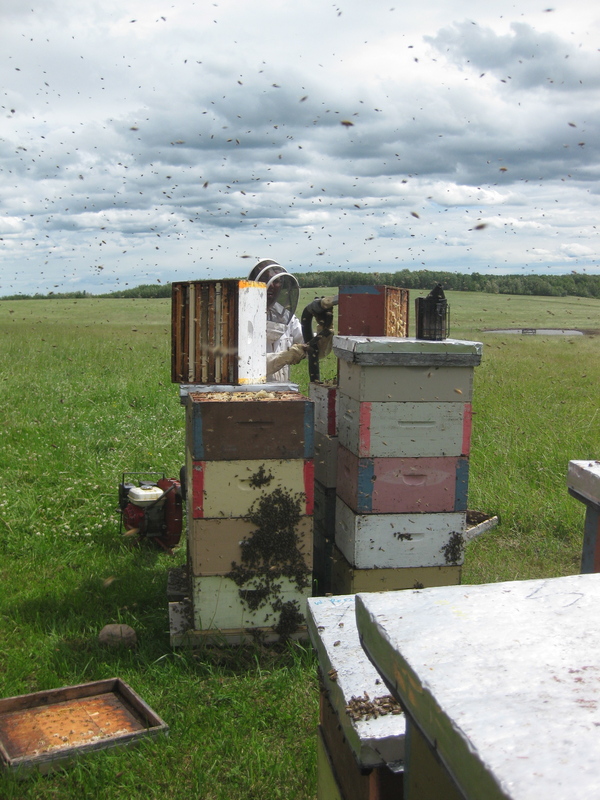 The blown-off bees land on the ground and crawl back to their hive if they don't feel like flying. They like to crawl up, so if they met my boots, up they crawled. 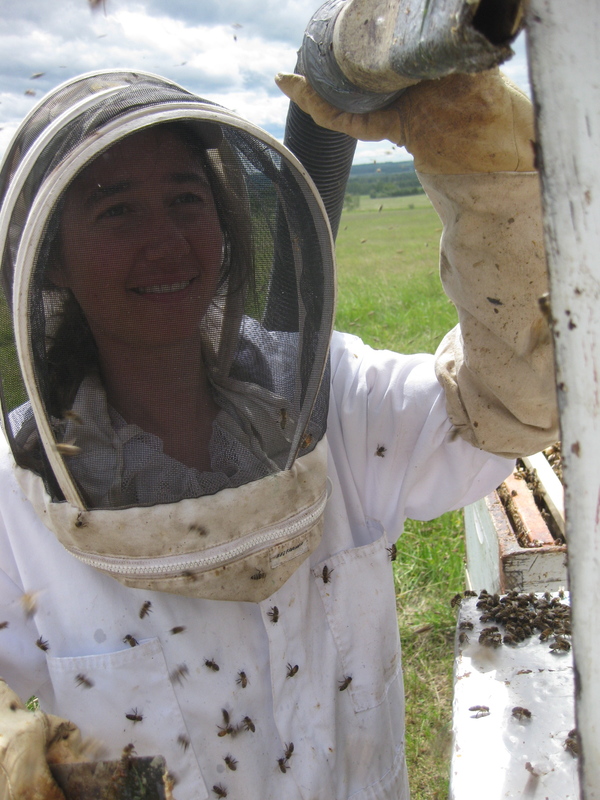 Apparently duct tape is key to making sure they bees can't crawl under the coverall cuffs. 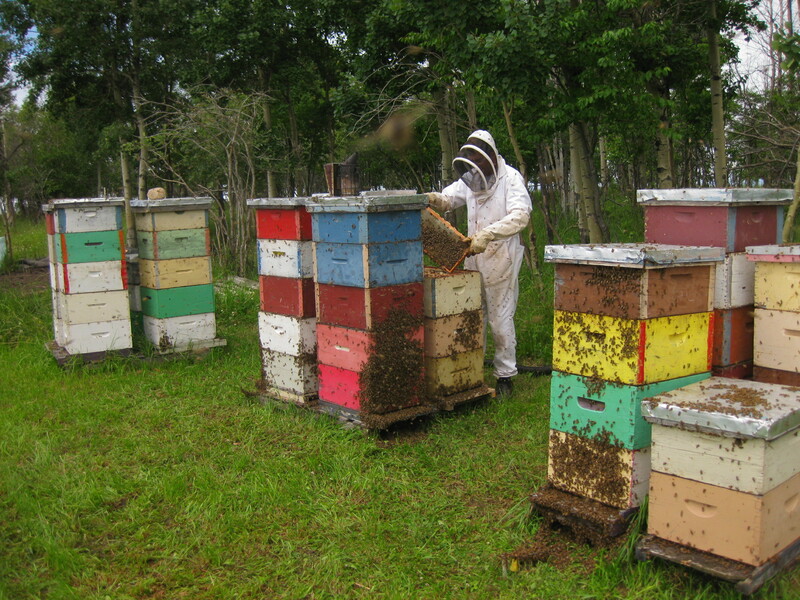 Alternatively, tucking the coveralls into the boots works too; bees don't like crawling down. 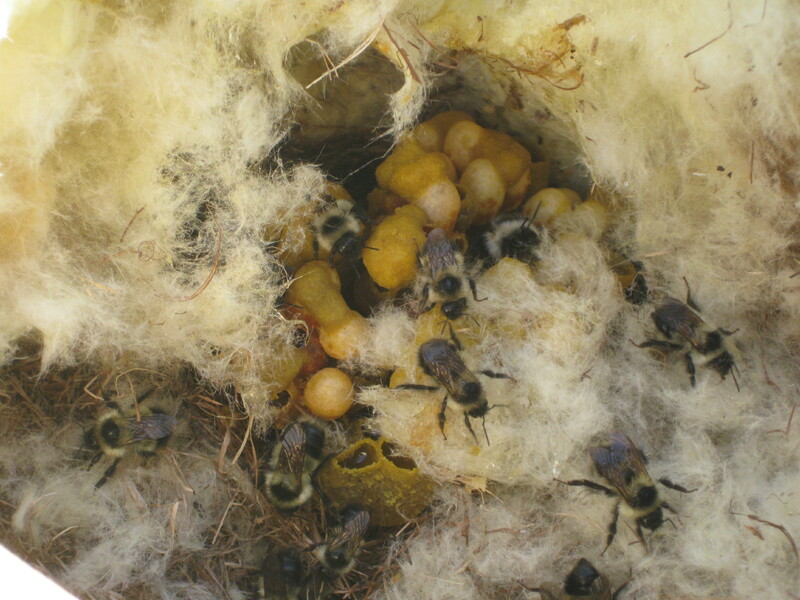 Check out the native bumblebee nest! See the honey pots in the center bottom? The bubble-looking cells are developing baby bees. This entry was posted in Honey Bees and tagged blowing bees, bumblebees, honey, honey bees by Beanstalk Honey. Bookmark the permalink. Thanks for the photo of the bumblebee nest, I’ve not seen many pics of those before. It looks so soft and cosy!